AngularJS is an open source web application framework. It was designed and developed by Google developers to make front-end development simpler. It comes in handy in developing single page applications. The framework has become very popular among web developers thanks to its horde of great and helpful features, like the need for less code, ease of understanding, and fast development. With the high demand for websites as a result of the explosion of e-commerce and high technological growth, AngularJS web development has become a great asset in building interactive and single page websites and mobile apps within the allocated budget and in record time. 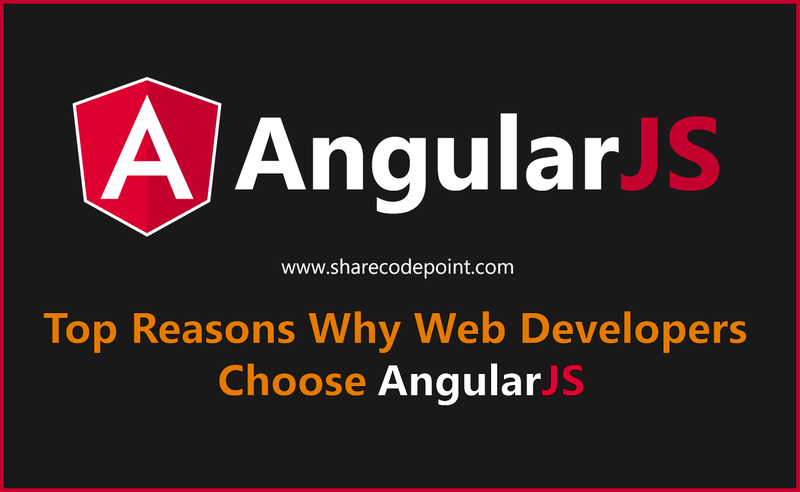 AngularJS is at the top of web developers’ choices because it is so easy to use and maintain. Additionally, it has an incredible efficiency to build new features, thanks to its robustness and intuitive nature. It saves web developers lots of time that they would otherwise spend debugging, as it is so easy to make minor changes. AngularJS has tons of great features, like Data Binding, Content Sanitization, Animations, Routing, Directives, and Form Validation; in combination with its ease of maintenance, AngularJS allows web developers to have sites up and running in a short amount of time and within the set budgets. Developers always seek viable ways to lessen the size of codes, and AngularJS comes in handy in doing so. The developers do not have to come up with an MVC pipeline. Additionally, HTML allows simple application building without getters or setters. Testing is critical to determine if your application has any errors, hence reducing the number of unnecessary mistakes in your application. AngularJS web development has the advantage of allowing for many tests, thus making it easier to develop bug-free apps. With such benefits from this framework, you can get the best apps for your particular purpose by engaging AngularJS experts from Active Wizards. This way, you can get the most out of the infinite opportunities in the global market that are only accessible to those with the appropriate digital tools. Developers have the task of arranging dependencies, and dynamic loading is significantly minimized when using AngularJS. Developers do not need to be concerned about namespace and instance. What they need to do is name, which the AngularJS will do for them. Also, AngularJS takes care of the complete lifecycle of the objects. In other words, the handling of dependencies by this framework is exceptional. Steve Patrick is a freelance writer with an interest in computing and technology. He writes for Active Wizards, a market leader company in Data Science and Machine Learning.